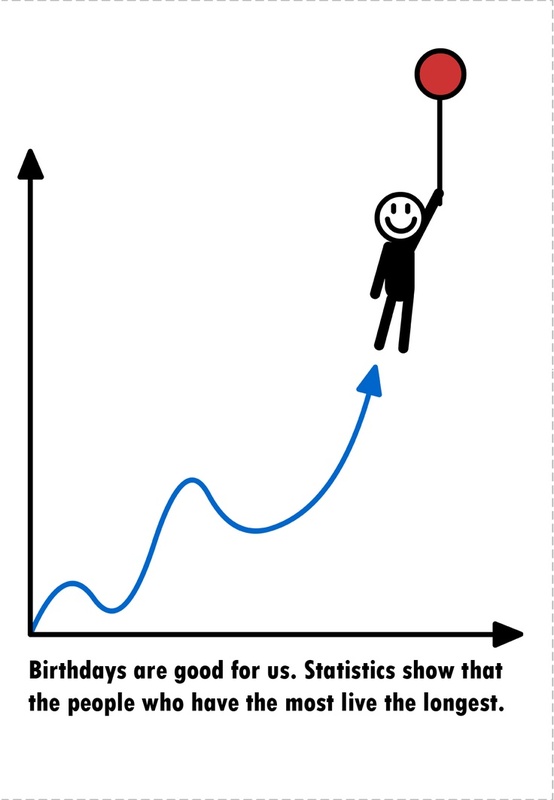 The birthday paradox A classic problem in statistics, the birthday paradox asks some form of the question “If you have 23 people in a room, what are the chances at least two of them have the same birthday?”. The answer is 50%, and it’s not really a paradox but just a thing people have trouble understanding. Better Explained has a nice breakdown of the problem here, which reminds readers that exponents are hard and that part of you immediately focused on your own birthday. As always, the chances of something happening somewhere are higher than any particular thing happening to you. My favorite way of viewing this problem came from the Assistant Village Idiot, who explains it by asking people to imagine they’re throwing darts randomly at squares and inquiring how long they think it would take before two darts wind up in the same square. Cheryl’s birthday I love when math puzzles go viral, and Cheryl’s birthday was a pretty good one. If you missed it, here it is: And here is the Guardian’s explanation of the answer. Common birthdays This graphic of common birthdays is both an interesting infographic and a cautionary tale of using ordinal data on the uninitiated. Basically, the author put together a visual representation/heat map of the most common birthdays by rank (as in 1-366), had it go viral, then had people complaining to him that it “wasn’t accurate”. He was rightfully irritated since it was just something he’d done for fun, but it’s a good reminder to fully think through visuals you see on the internet and to read the original sources for proper context. When is the old/young tipping point? Well, if you define “old” vs “young” as “when is over half the global population younger than me”, the 538 says the tipping point is somewhere in your late 20s. If you’re limiting yourself to just the US though, you have until you’re 37. Nathan Yau has a great visual here, and you can break it down by gender. Can’t argue with that one. I’m gonna go have some cake.